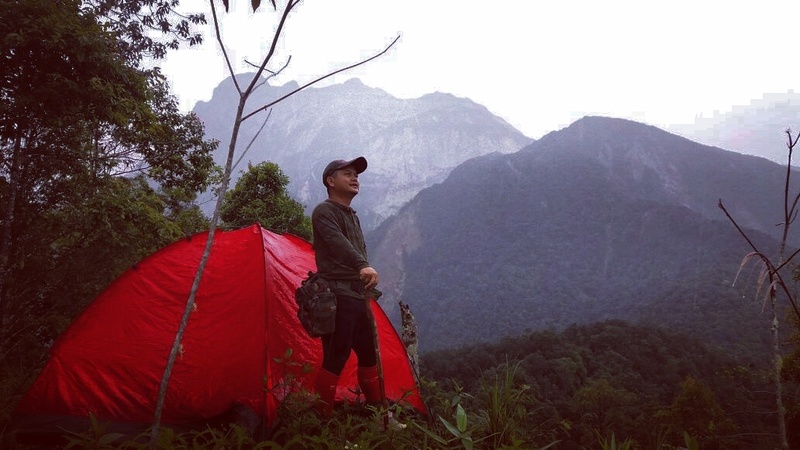 This jungle trail has some of the most amazing trekking paths with breathtaking views of Mount Kinabalu and a unique mix of flora and fauna. This private trek takes you through forests filled with grassy fields, rice paddies, small fruit farms and jungle shelters. There will be steep climbing both uphill and down, hot open trails and great shady sections, making the trek both challenging and very satisfying. You will pass huge dipterocarp trees and strangler figs, dripping with lianas, orchids, pitcher plants and wild jungle fruits. I will show you a variety of jungle survival skills and you will learn to identify and collect food for your evening meal. To this local community, the jungle is a supermarket which has almost everything they need. At night the forest comes to life with an amazing array of sounds and the temperature drops to about 12-15 degrees. At sunrise you will be awakened by calls of hornbills and gibbons, echoing through the forest canopies. Hiking & camping outfit and equipment.